What is WordPress and how wordpress blog is better option? wordpress is a PHP base open-source framework, specially designed to create wordpress blog websites. But now a days it is also used to create CMS, e-commerce, social network and more types of websites. plugins, widgets & themes are best features of wordpress framework. Lots of free plugins are available to use for free, which allows us to extend wordpress functionality very easily. WordPress team has well-managed documentation on how to use wordpress, create your own plugins, create your own themes etc. which makes developer a little relief cause they can find any framework functionality right at codex.wordpress.org. WordPress developer community is large as well as developers are always helping each other by quickly replying to issues posted by others. So these are the reasons people choose wordpress over other frameworks. you can download wordpress setup from wordpress website or create a wordpress account and setup your blog on wordpress.org with unique subdomain. 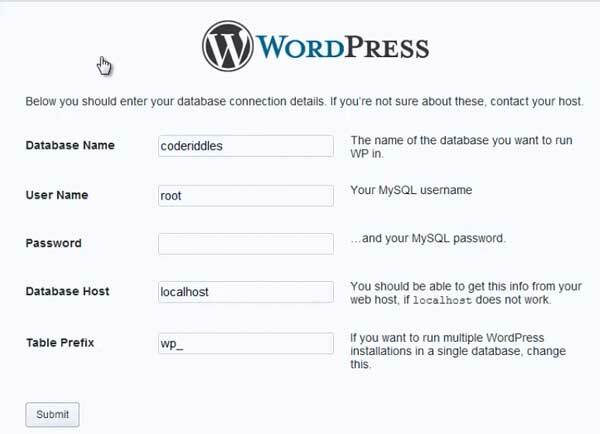 Download WordPress and extract it to your web server documentroot directory. Open browser and navigate to <URL to your wordpress site> and click on create configure file button. Next page click on Let’s Go button. Next page will ask for some configuration options. you will see how to configure wordpress site by watching following video. I hope this help you to create your first blog site. for more on wordpress please subscribe to youtube channel or like fb fan page.